Home | TOYS | PLUSH TOYS | Large Dinosaur Plush Toys T-rex Brachiosaurus Pteranodon Triceratops 17-20"
Large Dinosaur Plush Toys T-rex Brachiosaurus Pteranodon Triceratops 17-20"
Kids love these large Jurassic World Dinosaurs Plush Toys! 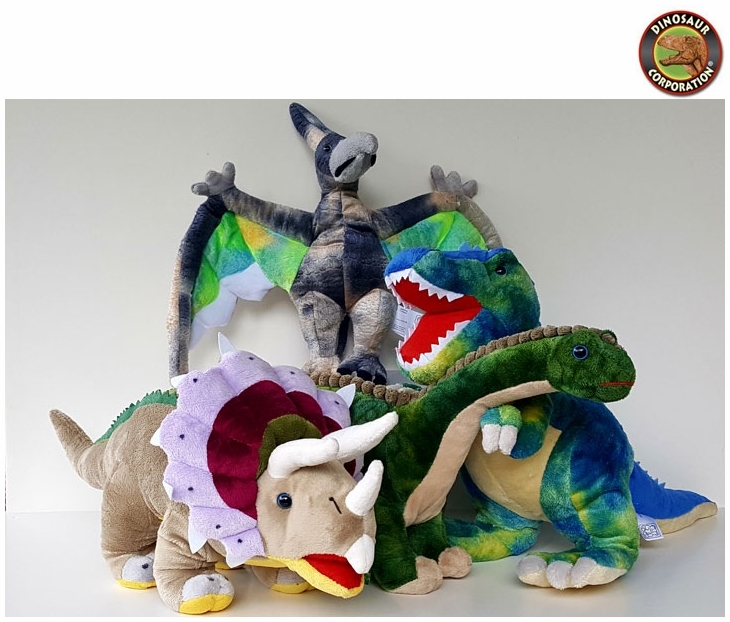 Blue T-rex, green Brachiosaurus, Brown Triceratops and colorful Pteranodon are cuddly soft dinosaur plush toys designed for kids to recreate the Prehistoric World. A perfect dinosaur birthday gift for everyday creative indoor and outdoor play. ▪ Blue Giant T-rex Stuffed Dinosaur Toy with Roaring Sound, 43"
▪ Large Green Brachiosaurus Soft Plush Dinosaur Toy, 19"